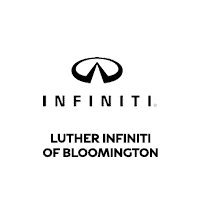 Luther INFINITI of Bloomington is proud to serve neighboring area drivers with the best vehicles and services. From the amazing Q50 sedans to the stylish and sporty QX50 crossovers, we offer all the latest vehicles to our customers. 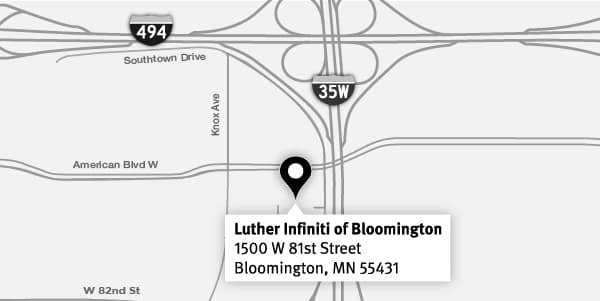 Richfield, Apple Valley and Edina INFINITI drivers can come on over to our dealership, located at 1500 W 81st St, Bloomington, MN, 55431. Call us at (866) 699-8533 to get in touch with our sales associates or contact us online if you want to know more details about your favorite car.